home Entertainment Nicki Minaj Announces Completion of 5th Album on "Barbie Goin Bad"
Nicki Minaj reveals the completion of her fifth album in "Barbie Goin Bad" lyrics. 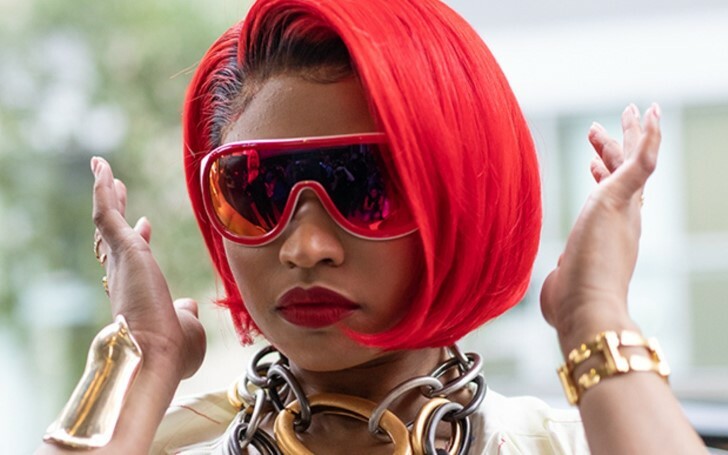 On the latest episode of Nicki Minaj's Beats 1 show, Queen Radio Nicki, the rapper unveils plenty of new music as promised on her earlier episode. During the Saturday's broadcast, the "Hard White" rapper dropped the first record "Barbie Drip", a freestyle over Lil Baby and Gunna's 2018 "Drip Too Hard" followed by another remix of “Going Bad” by Meek Mill and Drake "Barbie Goin Bad". "Imitating Nicki, while your ghostwriter dissin' me?" Most importantly, in near end of the song “Barbie Goin Bad”, Nicki suggests her fifth album, the follow-up to last year’s Queen is already finished and her label may soon release the first single. Minaj, further announces she “might drop a freestyle every week". You know radio already tried to blackball a b*tch." The latter presumably is a diss on her ex-boyfriend Meek Mill and Drake. With the line "Old boy and my brother tried to end me dog", "Old boy" is supposedly her ex-boyfriend Meek, while she often calls Drake "brother". Drake and Meek came in terms with their beef on September 2018, after Meek appeared alongside him on stage in Boston. Since then, Going Bad is their first collaboration. Apparently, Going Bad remix "Barbie Goin Bad" and "Barbie Drip" aren't the only songs out. Additionally, on Queen Radio, Nicki also announced new music recording with Juice WRLD, who will join her on the Nicki WRLD Tour as per her Instagram post. The European leg starting from Feb. 21 to March 28, before making its way to the states will further be joined Soulja Boy in the U.S. trek. The official U.S. lineup will be announced within the next week or two.